The style feels very much like a bit of Mary Stewart meets Clare Booth Luce. 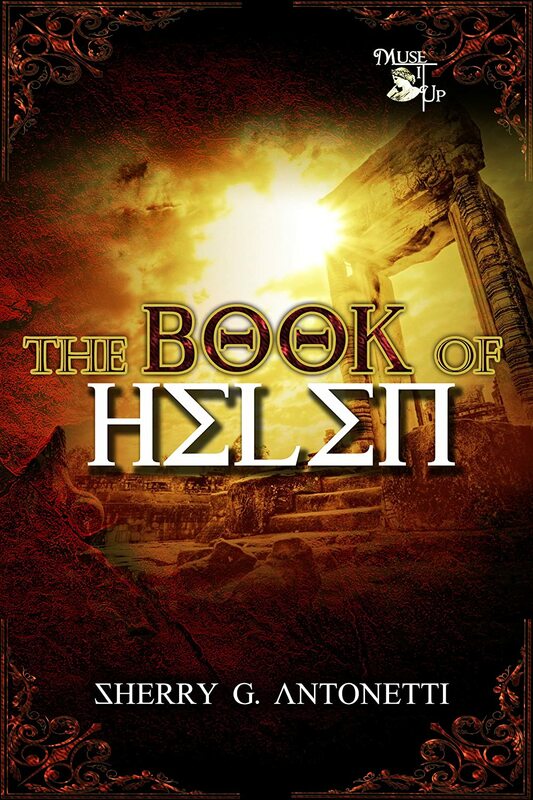 On the one hand, like Stewart's Merlin trilogy, The Book of Helen retells the story of the original Troy incident with little to no interference from deities, and no magic. If there is a god involved anywhere, the meddling is implied, with just a hint of an explanation. With Stewart, when Merlin transports Stonehenge from Ireland to England, it's via engineering, not magic. When Paris meets Helen, she assumes that the story of discord's apple is merely a pickup line. On the other hand, like Clare Booth Luce's play The Women (do not, repeat, do not see the horrid remake from the past decade. Just don't), Antonetti has a nice, crisp way of addressing the character traits and social tactics of other women. And let's throw in flashbacks reminiscent of John Le Carre's Tinker Tailor Soldier Spy (if you must, see the Alec Guiness miniseries, not the Gary Oldman movie), where the stories are told in interrogation-style fashion. From a historical point of view, it's nice that someone remembers that Helen was of Sparta, as in "THIS! IS! SPARTA!" Yes, she does know how to shoot arrows at people. Thank you, Katniss, let's leave the sniping to the adults. Sparta and its society also acts as a major plot point. Also, just for fun, it seems that author Sherry Antonetti, at times, makes fun of the Sparta element, when Helen thinks that her stepsons as declaring "This is Sparta!" as though that would solve all of their problems. One of the more interesting elements in the story revolves around Helen's servant, Pythia, a slave who becomes Helen's scribe. The relationship between the two of them is very much like a Doctor Who companion, or Dr. Watson to Sherlock Holmes -- while Helen is a political and social genius for the big picture, almost bordering on the savant, she has blind spots about comment sense matters that Pythia must smack her upside the head over. The interplay has some fun elements to it, and adds a lot of the charm to this book. Also, this has some nice themes along with it: grief, envy, hard work, a sideways pro-life message if you want to read into it that way. This is also the first time I've seen someone turn the concept of bella figura into a working concept in fiction (It's an Italian concept that basically says that it is not enough to do good, one must also look good). Now, why is this review not a 5/5? Let's discuss. So, everyone knows the entire story of the Illiad and the Odyssey? Yes? Good, because there is almost no back story or explanation for what's going on here at the beginning. Menelaus is dead on page one, and if you don't know the original Homer, you're going to be only a little lost for a few chapters. You should be able to track this if you've seen one of the half dozen miniseries or movies on the subject in the past 15 years, but I've done my best to forget most of them. I was able to follow the book without a problem, since I'd read the Odyssey when I was 10. However, the backstory will be filled in, you just need to hang in there. There is a little too much talking at times, and not enough action. But then again, Greek mythology version of The West Wing. I also wanted more physical descriptions. Helen now has grey hair, or is it still blonde? I caught implications that she was either going grey, but had enough blonde still left over to hide any grey; she's "still as beautiful as ever," but has she aged gracefully like Erin Grey, or did she not age at all? No idea. And damnit, the speeches. They just kept going. Maybe if they were broken up a little more and turned into something like discussions, and not Dostoevsky monologues from The Brother's Karamazov. It still would have been too much talking, but it wouldn't have been a blizzard of words, just a flurry. There were moments my eyes were crossing. Chapter six is the first time the reader will come across it, but if you slog through it, I promise that the rest of the book will be worth the time. By the end, I wanted more. I wanted more of the story, more of the people, more time with the various and sundry characters, just more. The Book of Helen has a potential for a sequel, though it may just be named The Book of Penelope. If and/or when it comes out, I will be reading it.